Bio: Looking for good vibes, Erick has joined Yamatai for the sick beats and rad blisters. 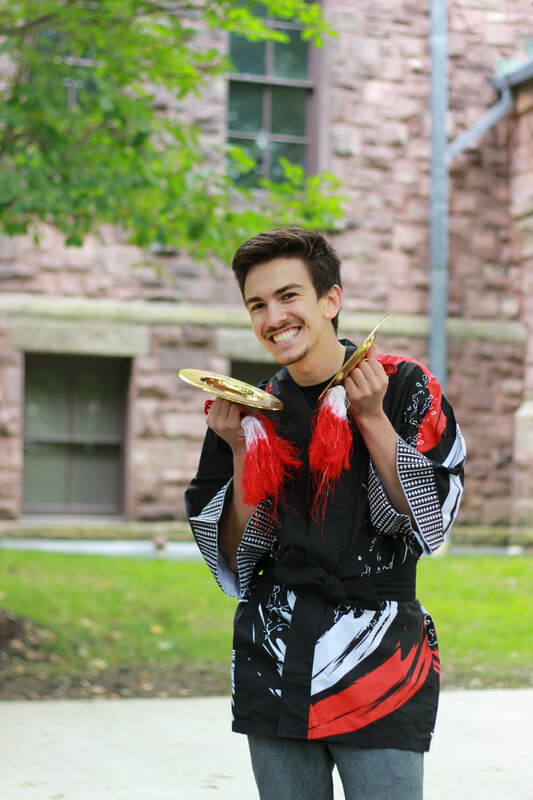 Growing up playing bassoon, saxophone, clarinet, piano, rhythm games (lol), he strives to apply his knowledge and experiences to create some sick mixtapes taiko, in hopes of evoking emotion to the audience. He loves watching musicians have fun and wishes the audience to have just as much fun, especially now during difficult times. Other than that, well, Erick is a strange boy, who makes sheep noises, doesn't care about being weird, occasionally goes to class in pajamas, plus more. If you'd like to learn more, feel free to contact him at 1-800-FAKENUM.gov. Doubts: Cornell, society, privilege, Trump, my ability to wake up, tests, humanity, sugar, dairy, etc. Favorite Products with Dairy: I'm lactose intolerant. Rip, me. But to answer: Asadero, Pistachio Ice Cream, Goma de Leche, Horchata, definitely not chocolate (hate on me), etc.